You don't let your steak rest at room temperature before cooking it. 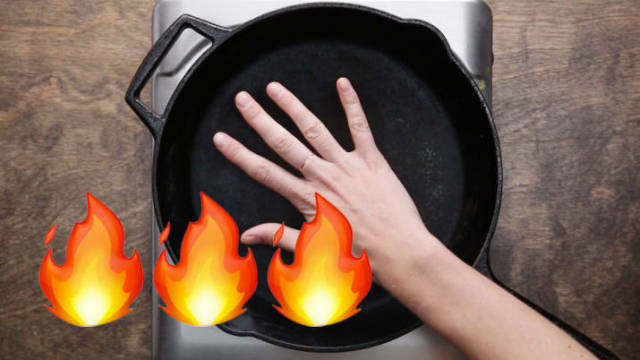 If you toss a cold steak in a hot pan, it'll bring down the pan's temperature. 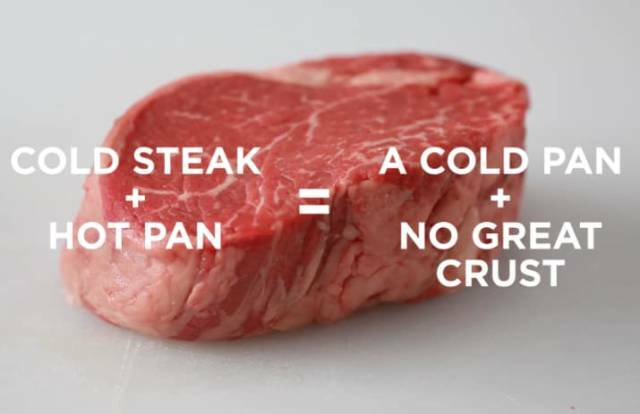 And if the pan temperature isn't high enough, you won't get the delicious crust you want in a great steak. So make sure to take your steak out of the fridge about 30 minutes before cooking it. You don't pat your steak dry first. 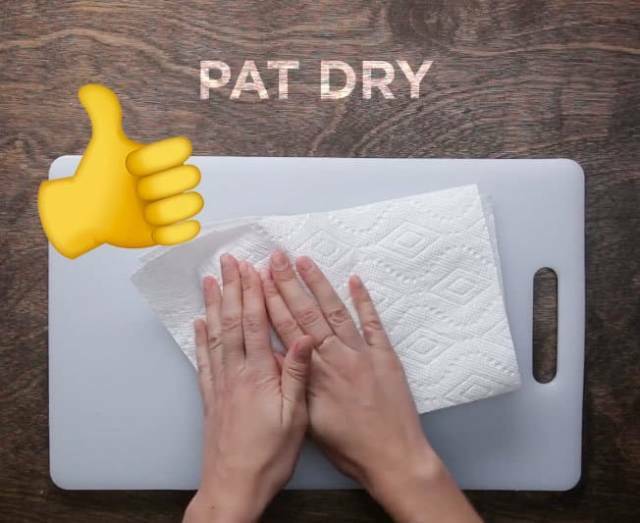 Always makes sure to pat your meat dry with a paper towel to get rid of any excess moisture. 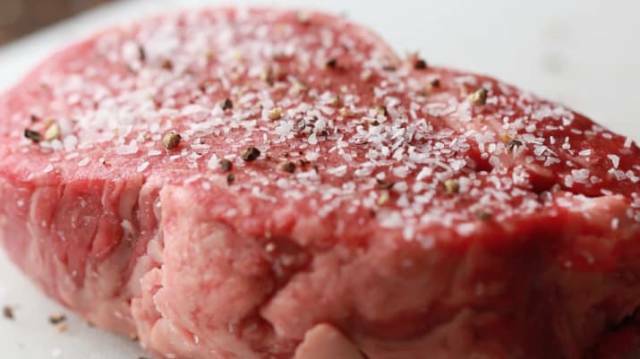 Moisture can prevent steak from developing an even crust. You skimp on the seasoning. Be generous with the salt and pepper — and don't forget to season the sides of the steak too. It may seem like a lot but that's the only way you'll get a steak that's flavorful and perfectly seasoned throughout. 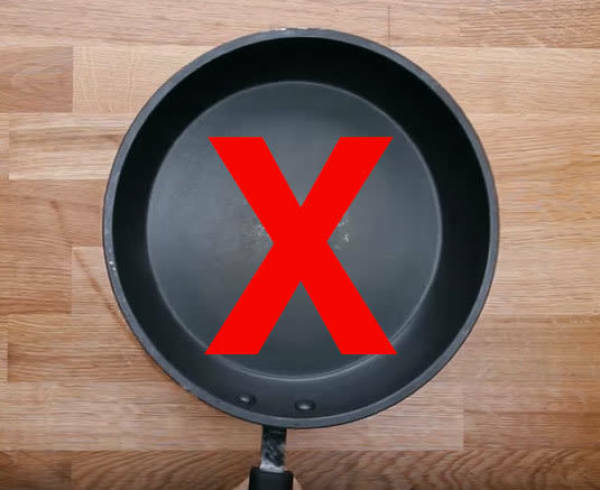 You use a non-stick pan. You should be using a stainless steel or a cast iron pan. Both pans can be transferred to the oven (which will be crucial later) and they can both achieve the high, steady heat you need to make a great steak. You don't pre-heat the pan long enough. Make sure to use an oil with a high smoke point, such as canola, grapeseed, vegetable, or sunflower. 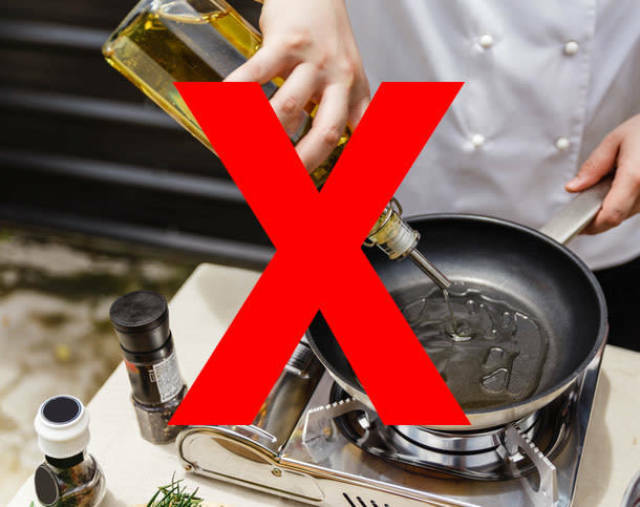 Do not use olive oil, which has a low smoke point — or temperature at which it starts to burn. You keep moving the steak in the pan. 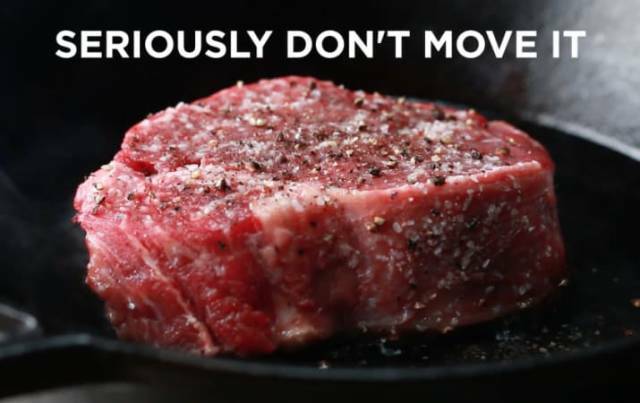 Once you put your steak in the pan, don't touch it! Otherwise it won't caramelize, brown, and develop a nice crust. That phenomenon is also known as the Maillard reaction — and you want to make sure to achieve it when you're cooking your steak. Once that crust is formed, you can flip the steak. If it's sticking to the pan, it means it's not ready yet, so wait a little while longer. You don't baste your steak. OK, this step is kinda extra and you don't actually need to go through it. 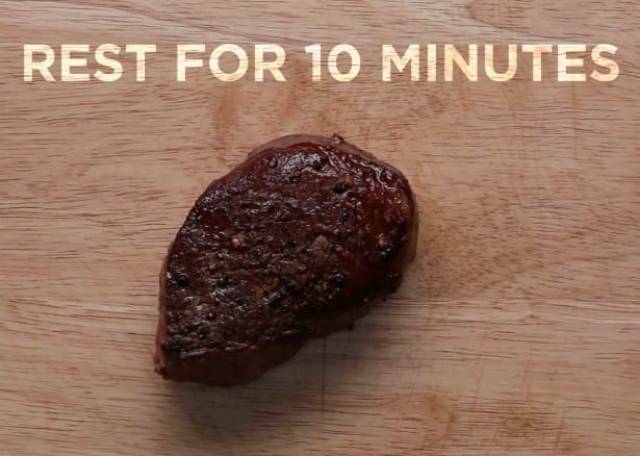 But if you really want to cook the best steak, then make sure you take an extra minute to do it. To baste, just add a couple tablespoons of butter, some herbs (usually thyme and rosemary), and a peeled garlic clove to the pan. Then tilt the pan, and spoon the herb and garlic-infused butter onto your steak for a minute or so. It'll add a lot of flavor to the final product. You don't finish cooking your steak in the oven. Popping your steak in the oven after you've seared and basted it will ensure you get an even cook. 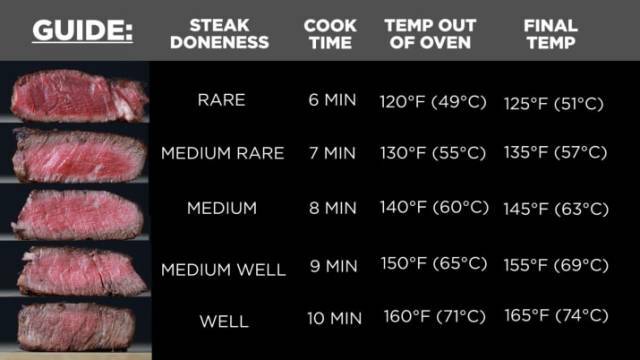 Place your steak in an oven preheated at 450°F (230°C) and bake it for 7 minutes for medium-rare. (That timing is for a sirloin cut, so make sure to adapt it depending on the thickness of your steak). 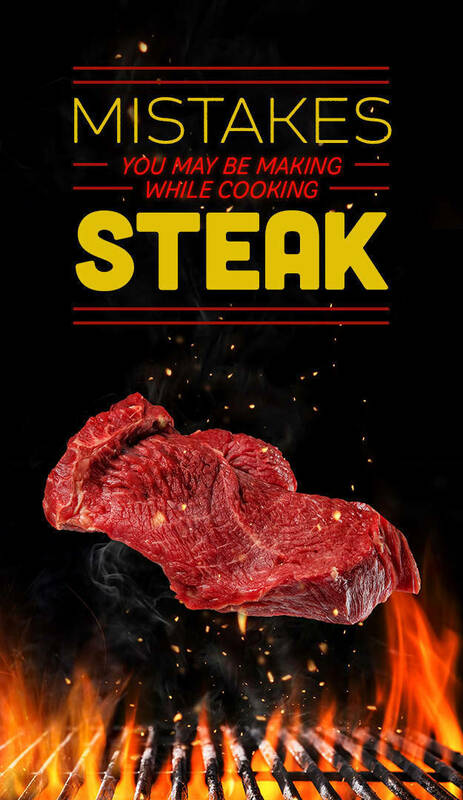 You don't let your steak rest once it's cooked. Rest your steak at room temperature for about 10 minutes to make sure the juice gets absorbed evenly throughout the steak and you get a super tender meat. If you slice your steak right out of the oven, the juice will run out. And you don't want that. You don't slice your steak against the grain. 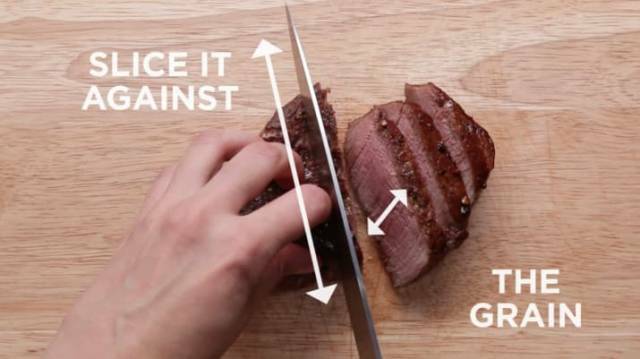 That's how you'll get the tenderest slices of steak. Find more tips on how to cook the perfect here.